Could this be the first great Game of Thrones video game? It's premature to start praising Telltale's upcoming series before we've even gotten a chance to play it, but the stars seem to be aligning for this one. For starters, it looks great, as you can see in the just-released trailer below—our first good look at the new game outside of those leaked screenshots. Also, Telltale, previously responsible for The Walking Dead and The Wolf Among Us among others, has a good track record of high-quality adventure games. House Forrester is a noble house from the Wolfswood in the north of Westeros. Bannermen to House Glover, they have always offered unswerving loyalty to the ruling great house of the North - the Starks. The Forresters are seated at Ironrath, an imposing stronghold surrounded by towering ironwood trees. Built over fifteen hundred years ago by Cedric Forrester and his triplet sons, Ironrath is a testament to the strength and endurance of Ironwood. The Forrester house words are 'Iron from Ice', which echoes their belief that - like the ironwood itself - the adverse conditions and unforgiving landscape of the North only makes them stronger. Playing as five characters not only reflects the epic scope of Game of Thrones, but is also something that the player needs to be mindful of. This is because the actions of one character can ripple out to affect the rest of House Forrester. Multiply the actions of one character by five, and you're truly playing the Game of Thrones... where you win, or you die. Telltale hasn't announced a release date for this six-episode series yet, other than "soon." (By the end of the year, they say.) 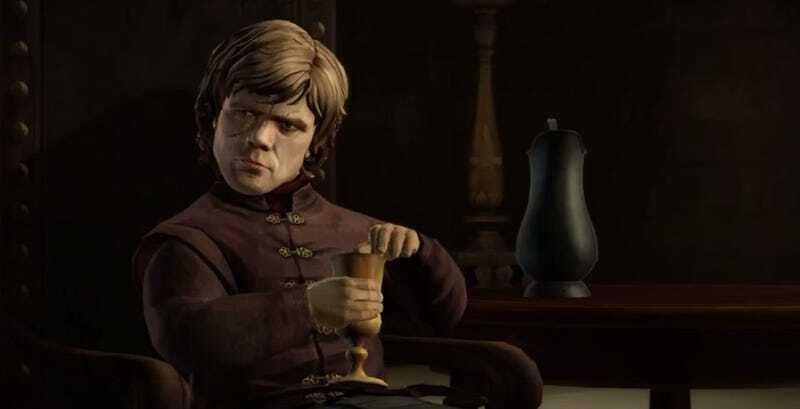 On the big Westeros timeline, the Game of Thrones game will wind up kicking off where season three of the show ends and finishing around where season five begins—likely just in time for that season to actually start airing on HBO.